Looking for advice on natural health and wellbeing? Your local independent health store can offer a wealth of knowledge and expertise. This month we speak to Ursula Gothard, a nutritionist from Eighth Day Vegetarian Health Food Shop and Café. Inflammation is known as a Western disease because it is associated with the Western diet which is high in inflammatory foods such as meat and dairy. Arachidonic acid, which is a polyunsaturated omega-6 fatty acid, is found in animal fat and it is thought to exacerbate inflammation in the body. For this reason, anyone suffering with arthritis would be well advised to avoid animal fats as well as sugar, which can also add to the problem. Some people benefit from eliminating gluten from their diets, particularly in the case of autoimmune diseases. Following a healthy whole food diet full of alkalising green foods and antioxidant-rich berries helps to take the pressure off the immune system and encourages good elimination. Ginger, celery, cucumber, nettle and burdock all help to inhibit the process of inflammation and help to cleanse the joints. You could make a juice from these ingredients or look for supplements that contain them. Bromelain is an enzyme from pineapple which is an effective anti-inflammatory and pain reliever. DLPA is an amino acid which targets the pain neurotransmitter in the brain and also relieves pain with a side benefit of being mood-elevating. The body needs a good balance of essential fatty acids in order to reduce inflammation. The omega-3 fats from fish provide Eicosapaentanoic Acid (EPA) and Docosahexanoic Acid (DHA) which make hormone-like substances called prostaglandins, which help to regulate inflammation. Vegetarians and vegans may choose to supplement with flax oil or borage oil as alternatives to fish. I recommend taking a multivitamin alongside the flax oil as this helps to metabolise the alpha linoleic acid in flax oil to EPA and DHA, thus making it more effective. Osteoarthritis, which is a degenerative form of arthritis, can be supported with glucosamine and MSM for bone, cartilage and connective tissue repair and protection. Vitamin D, which many people in the Northern Hemisphere are deficient in at present, can be supplemented at 1-2,000 ius for bone support. Other useful supplements include vitamins C and E as well as zinc, which provide antioxidant protection to inhibit further damage. Turmeric and boswellia are two great natural anti-inflammatories. Turmeric contains the compound curcumin which has powerful anti-inflammatory effects and is a strong antioxidant. We sell a lot of organic turmeric root which our customers use in juices, but if you are suffering with arthritis I would recommend a supplement as you will need a more concentrated dose. Although arthritis is a painful condition, there are many natural ways to help ease the symptoms. Your local health food store is a great source of help and advice but you should always consult with your doctor for medical advice too. 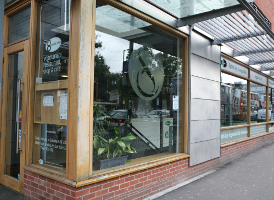 The Eighth Day is based at 111 Oxford Road, Manchester, M1 7DU. It is a workers’ co-operative, which means that it is owned and democratically managed by its workers, most of whom either work in the shop or café and manage the business. The store sells a wide range of ethical groceries, raw foods, whole foods, organic produce and foods for special diets such as wheat-, gluten- and dairy-free. It also stocks a large selection of nutritional supplements, herbal remedies, environmentally-friendly cleaning products and natural and organic bodycare. Professional advice from qualified nutritionists like Ursula is available on most days. The café creates wholesome and exciting meat-free dishes, in addition to events and outside catering. Visit the website at 8thday.coop. Alternatively call the shop on 0161 273 4878, send an email to mail@eighth-day.co.uk or follow them on Twitter at @EighthDayVeg.